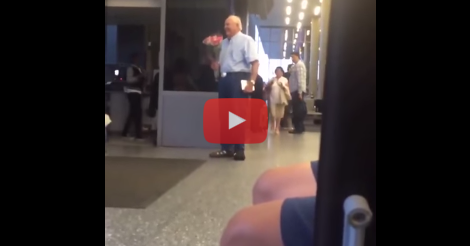 This Old Man Stands Alone With A Bouquet…When I Saw Who He Gave It To?! My Heart! Aww! Movies teach us a lot about spontaneous romance. Romantic comedies show us how ridiculous life could be if life was a movie, and even though we know that the situations and misfortunes that fall onto our favorite characters are highly unrealistic, we still watch them anyway. Over and over (especially on rainy days or sick days) I will find myself popping in my favorite silly love movie to watch while folding laundry or baking cookies. I don’t care that I’ve seen it hundreds of times by now, I only care that I can escape into this adorable reality where tripping on your shoe lace can land you into the arms of the cute starving artist who lives upstairs, or meet the man of your dreams who is getting ready to marry the evil stepsister from across the sea. So when things like this are caught on camera, it melts my heart! There is still romance in the world, and this elderly man is making sure that his love will live on forever! 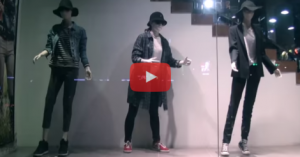 The smallest gestures can mean the greatest things, and this guy really knows how to show it! What would you do if your spouse met you at the airport like this? I would definitely make time for snuggles later, even if I’m super tired from my travels, if he can make time to show me he loves me, I can make time to love him back! So cute!